Saudi Arabia's telecommunication system has expanded rapidly with a robust mobile cellular market. Four mobile operators serve Saudi Arabia with three of them having launched LTE networks. Improving quality and expanding coverage are among these operators' near-term goals. 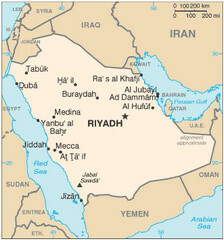 As of 2011, roughly 53.7 million mobile phones were in use in Saudi Arabia. According to Internet World Stats, 13 million users (roughly 49 percent of the population) use the Internet as of 2012. In contrast, in 2011, the country had 4.6 million phone lines in use. Clearly mobile and Internet communications are more popular than traditional land lines. The Saudi Arabian General Investment Authority (SAGIA) established a Universal Service Fund to provide 100 percent of the country with voice and Internet coverage by 2015. This fund is heavily subsidized by the Saudi Arabian government. Generally speaking, to make an international call from Saudi Arabia to another country, you would dial 00 plus the country code plus the city code plus the local phone number. However, not all phones in Saudi Arabia allow users to dial outside the Kingdom using this convention. 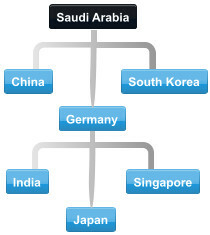 This can make it chanllenging to conduct business with people and partners in Saudi Arabia or the US. One solution is to use an international conference calling plan for Saudi Arabia and the US or other countries. For example, if you're hosting an international conference call with attendees located in Saudi Arabia, you could work around such outbound local dialing restrictions by simply dialing the included Saudi Arabia toll-free access number. When you do this, your participants located inside Saudi Arabia dial a toll-free number rather than an international number. They do not need to dial "00" first. Thus, any international calling restrictions imposed by their employers or other entities do not apply. It's easy to collaborate using conference calls with Saudi Arabia. Moderator dial-out is used to call participants rather than requiring them to call your international conference call's number. 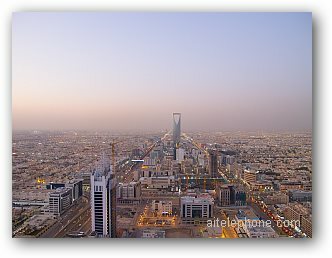 Finally, even if there are no dialing restrictions in place, hosting pay-as-you-go international conference calls to or from Saudi Arabia allows you to take advantage of low international calling rates and a high quality telephone network with exceptional line quality and numerous features. Offer international toll free access numbers to your group team members who travel to Saudi Arabia so they can easily connect to your global conference call meetings. Host multi-country conference calls. Our conferencing bridge is located in the U.S. but the moderator can initiate a conference call from the Kingdom of Saudi Arabia and any country. Enable geographically diverse international offices to join Saudi Arabia conference calls to provide input on issues that affect their regions. Suleiman A. AlRajhi & Sons Co.
Alhamrani & Alsuleiman United Co.
Saddik & Muhammad Attar Co.
Haji Hussein Alireza & Co., Ltd.
Alpha Trading & Shipping Agencies, Ltd.
Ali Zaid al Quraishi & Bros.
Trading & Industrial Group Ltd.
Saudi Arabia conference call service is convenient using the included toll-free access number accessible from any location in Saudi Arabia. If you are located in Saudi Arabia, you can Host or join Saudi Arabia conference calls the easy way using local Saudi Arabia access numbers.